What is the best way to get from Heraklion to Chania? We are flying to Heraklion and staying in Chania in April this year. What is best mode of transportation to get to Chania? We will have a car when we to Chania. Thanks for your question, April is a great time to visit Crete as it will be spring! The airport of Heraklion sits on the centre of the north coast about 6 km from Heraklion town. Chania town is also on the north coast, in the west of the island. It is 140 km from Heraklion airport to Chania town. The main national road of Crete runs along the north coast, it is a big well-used road and route. There are a few options of transport, we are not sure what style of travel you like so we'll tell you them all. Of course very late at night or early in the morning public transport might not be running. 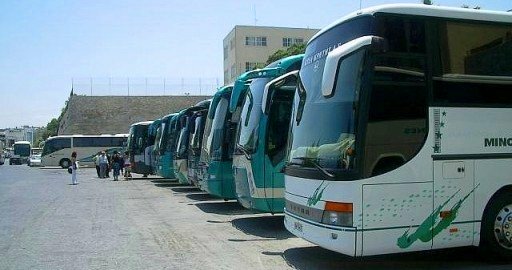 You can take the frequent, affordable and reliable local buses from Heraklion airport to Bus Station A (near Heraklion port) for less than €2 Euro. There are buses from the airport every half an hour or so. Then take the bus to Chania, they leave every hour from 5.30am to 9.00pm for around €14 Euro. The trip takes 2 hours and 45 minutes and goes through the town of Rethymnon, so depending on your plans, you could easily hop off and take a walk around for a couple of hours then catch a later bus on to Chania. Aternatively you could take a whole night to stay in Rethymnon. You can take a taxi from the Heraklion airport to Chania. This is a drive of 140 km and may take around 2 hours. The taxi ride should cost no more than €200 Euro. Arrange the price before getting into the taxi. This is a good option if you arrive late in the evening. The quickest and easiest way we suggest is to take a pre-booked transfer. This means you will be met at the airport and all your luggage taken care of, and driven to your specific destination, all pre-arranged and no haggling over price. Crete Cab will take up to four people from Heraklion Airport to the centre of Chania for less than €155 Euro. Of course with both of these services you can pre-book your return journey for peace of mind. Of course, one can hire a car and drive oneself from Heraklion to Chania, this route takes you along the very modern and safe national highway. The drive is 142 km and takes about 2 hours, you may wish to stop in Rethymnon on the way. Join in and write your own page! It's easy to do. How? Simply click here to return to Heraklion Travel.